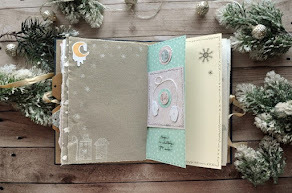 Today, it's my turn to share with you my new layouts using the new collections from Studio Forty. 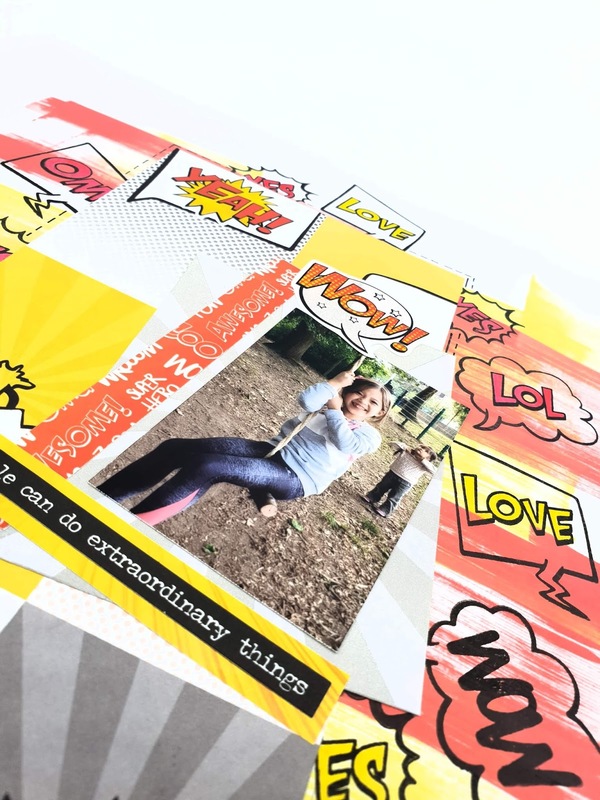 The ADORE collection is all about love and the SUPER YOU is focused on the super-hero theme. 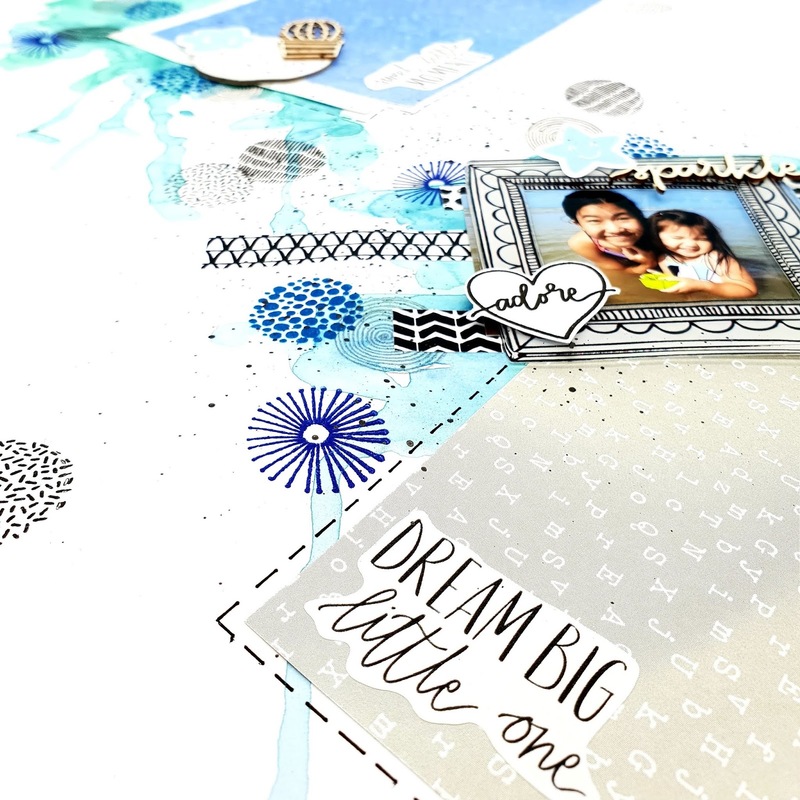 Let me start by showing you a layout I made with the ADORE stamps sets. I made the background myself using some watercolor on white cardstock. I mixed 2 tones of blue and then I let the water flow a little bit over the paper for a seaside effect. 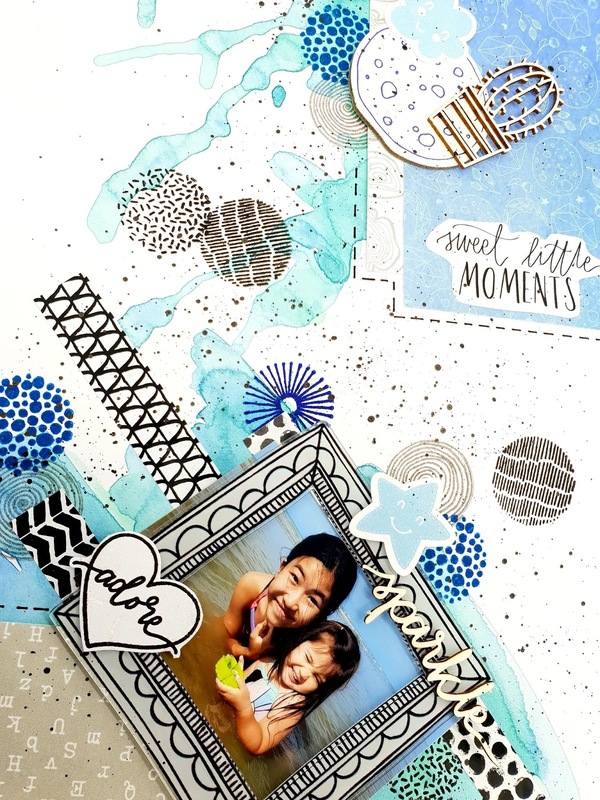 I used the circle stamps to create some patterns, in different shades of blue but also in black. I also stamped and cut out the "adore" heart, sticked down some black and white washi stickers and added left-overs from the previous collection MAGIC FALL (paper and wood veneers). I hope you will like this summer project in winter! For my second project, I made a fun layout that looks like a comic book. 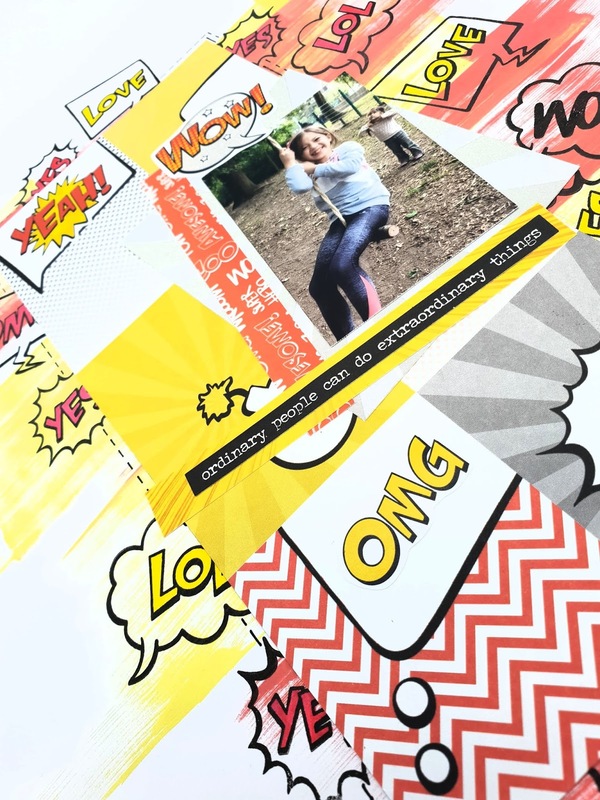 The paper from the SUPER YOU collection is just perfect for that, as it has mutliple boxes and bubbles. For my background, I simply smooched my Distress ink pads on the paper. And the coordinating stamps set is amazing too, I have stamped them all around and colored them in yellow and red. The washi strips are a great addition too. 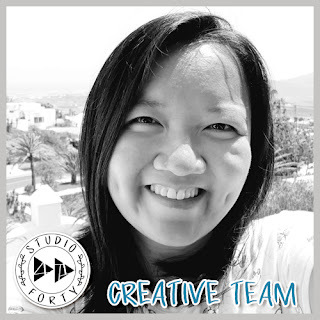 I hope this fun layout will inspire you.